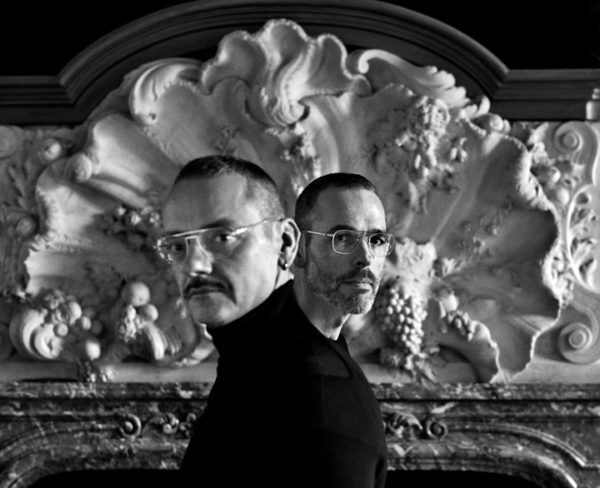 photo: Anton Corbjin, Viktor & Rolf, Amsterdam, 2018. 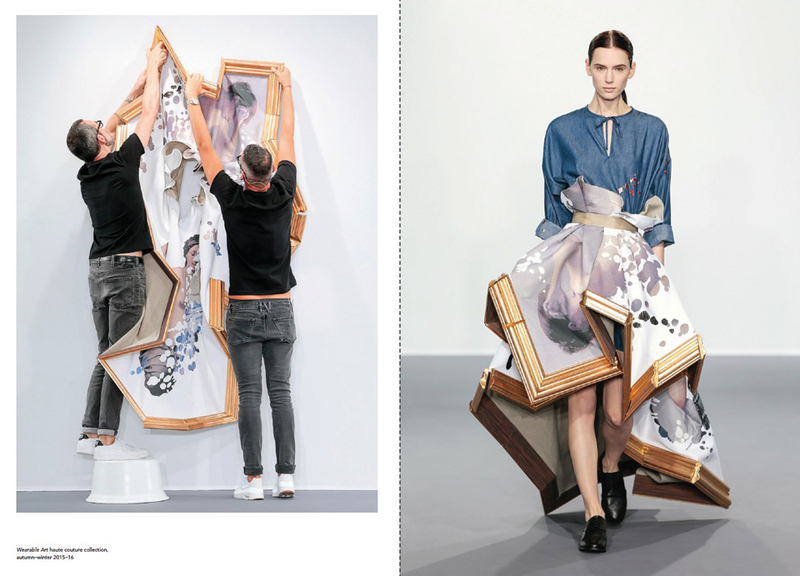 Viktor and Rolf are a power duo that have designed an intricate body of work together that successfully bridges the worlds of haute couture fashion and conceptual art. They met at the Arnhem Academy of Arts and Design and began working together directly after graduation. You’ll crack open this grandesque book to find stunning handiwork and elegant silhouettes combined with concept driven overtones that won’t be lost to the craft. 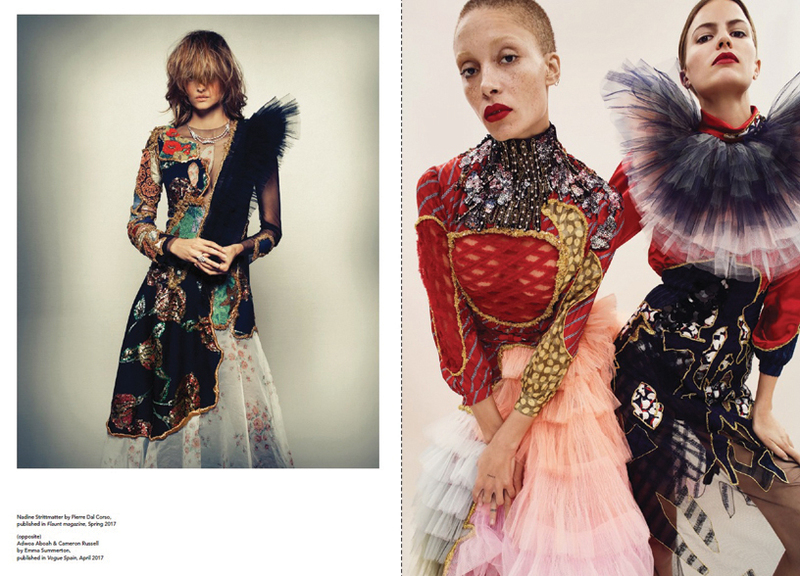 Their work together defines fashion as art, “contrasting romance and rebellion, exuberance and control, classicism and conceptualism”. In an interview with exhibition curator Thierry-Maxime Loriot, the designers consulted that they themselves don’t consider their work fashion or art exclusively but simply make what comes to mind. Initially V&R’s work was accepted into the sphere of art rather than fashion but with growing fame their company slowly formed into a recognizable fashion house. It became clear to me as I sifted through the pages of the archive that the work inside was masterful in taste and execution; the designs bring together costume and couture with the exhibition value of contemporary sculpture. Not only was I treated to stunning fragments of fashion history but an intrinsic timeline strung together with an iconography created by visionaries in the art world such as Cindy Sherman, Tim Walker, Andreas Gursky, Herb Ritts, Annie Leibovitz, David Lachapelle and Nick Knight among a cast of other leaders in their fields. Legendary photographers and artists exhibited V&R but their pieces continue to be framed on the likenesses of visionaries such as Madonna, Róisín Murphy, Björk, Rufus Wainwright, and Tilda Swinton. Overall this book might give you hope for progress in the fashion industry rather than the constant revisitation of ideas that we’re constantly exposed to. You’ll find that with platform comes performance and V&R aren’t the exception. Together they’ve created major rifts in the trends that lead the industry and will continue to progress through innovative design. If you’re interested in purchasing the book follow this link.